Fanchon Paints It Black (Jamie) went BOB under the judge Mr. Andrej Kazmierski (Poland). 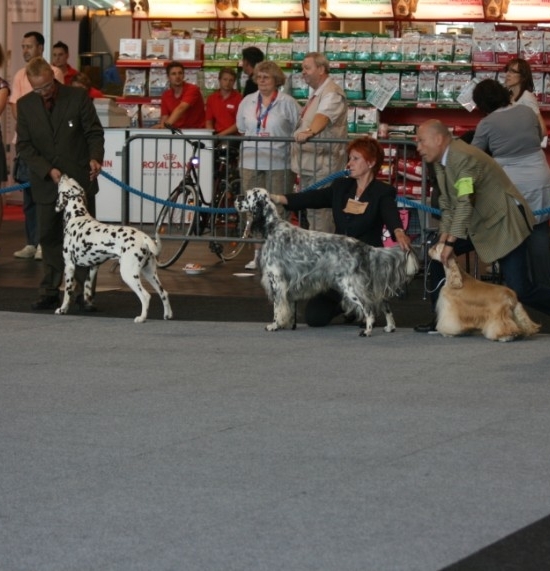 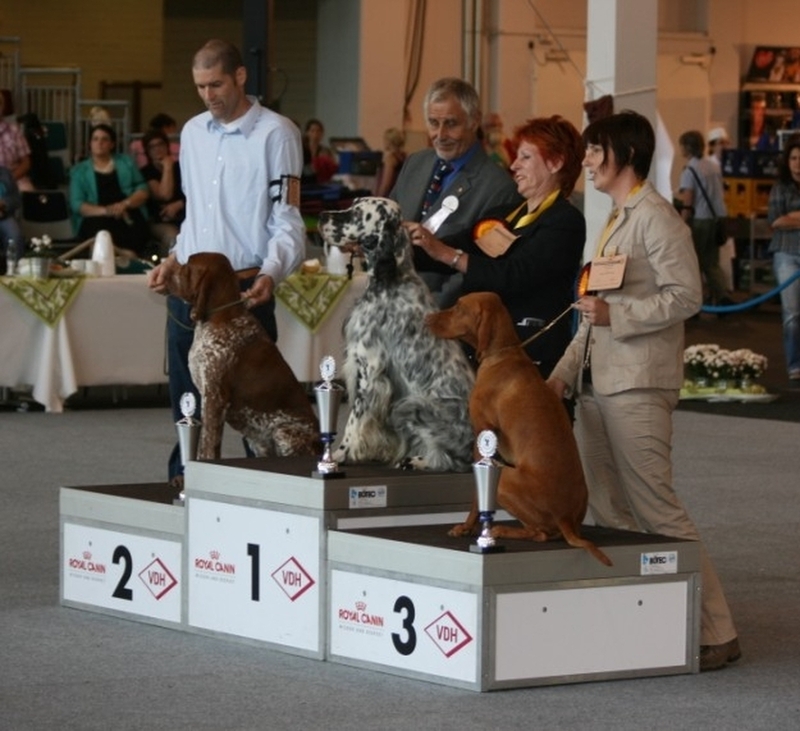 In the FCI Sporting Group VII, the judge Mr. Burkhard Seibel (Germany) appointed the 1 st. place to Jamie, winning the Group. 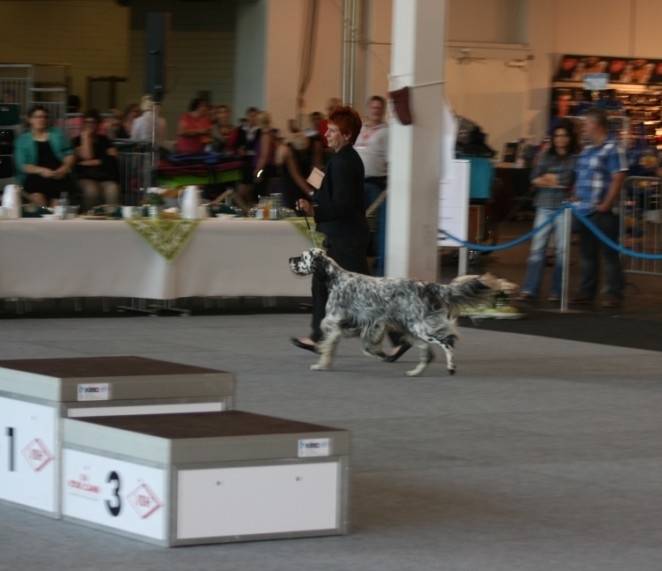 Madison (Fanchon You Have Got What It Takes) received first placement in FCI Youth Group VII under judge Mrs. Mag. Heliane Maissen-Jarisch. 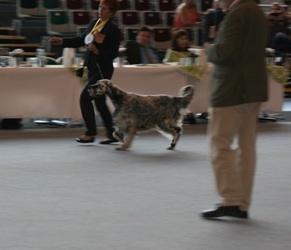 This promising girl is owned by Gigi Hoeksema en Gideon Mesu. 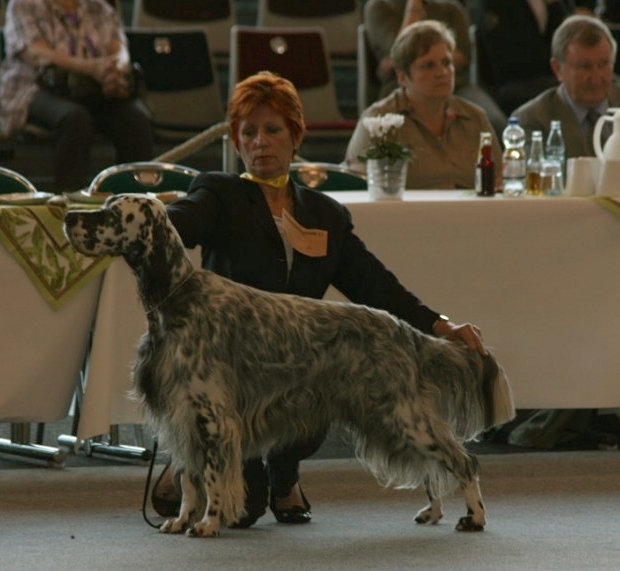 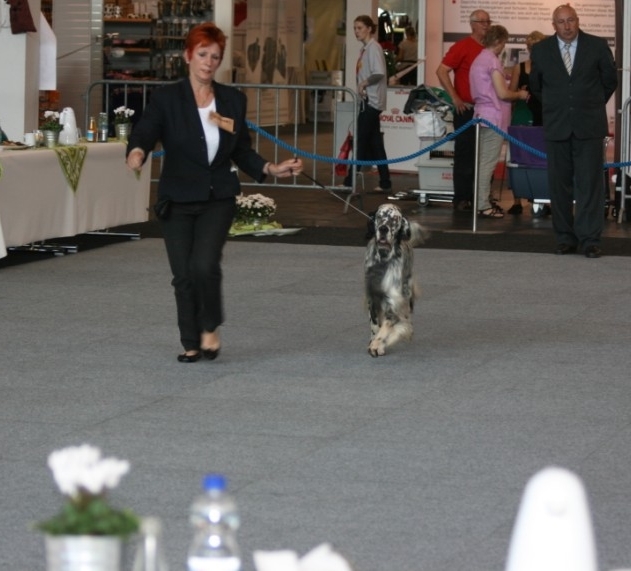 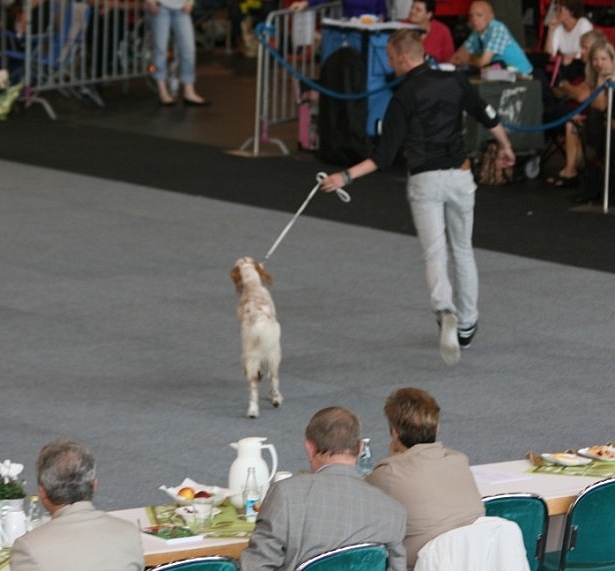 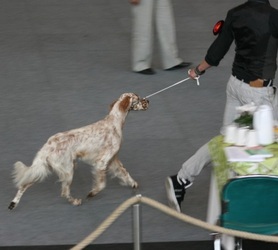 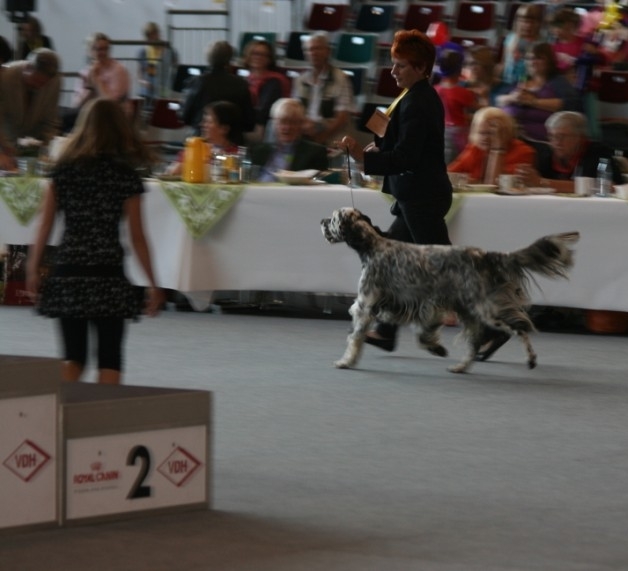 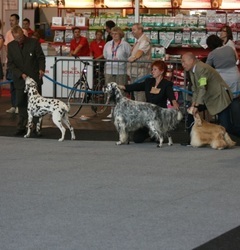 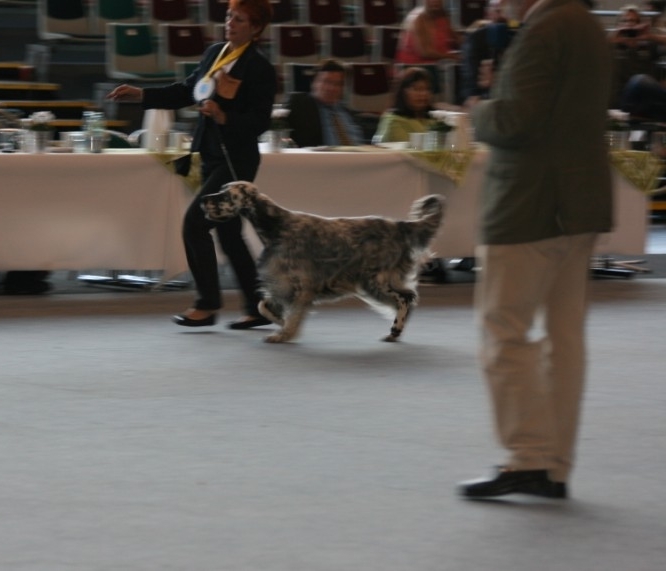 Our congratulations goes to her owners for another great result after the 2012 World Dog Show held in Salzburg and we believe this girl has a very bright (show) future ahead. Below some pictures of the show. Best of Group VII: His name Jamie. 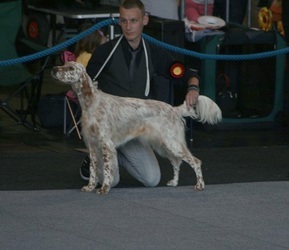 Pictures of Madison in ring of honor.